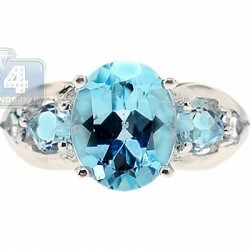 Absolutely stunning and fascinating! 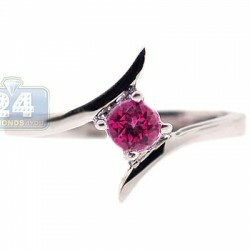 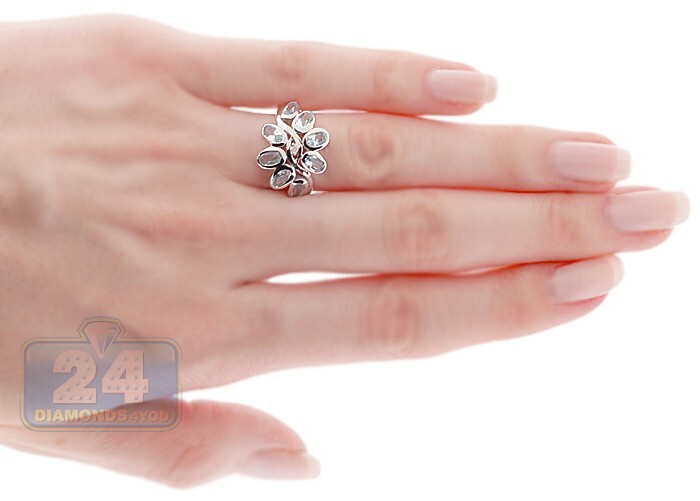 This impressive floral inspired lady's ring is masterly handmade of cool 925 sterling silver with highly polished shiny finish. 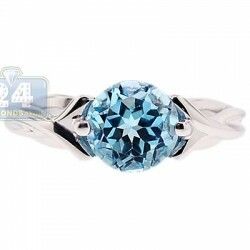 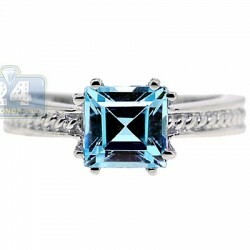 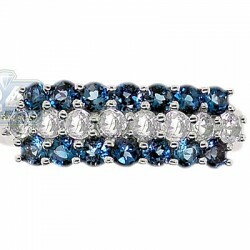 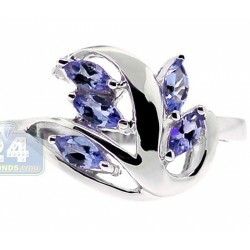 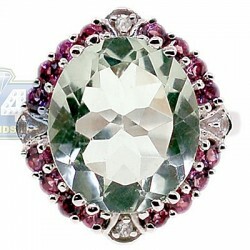 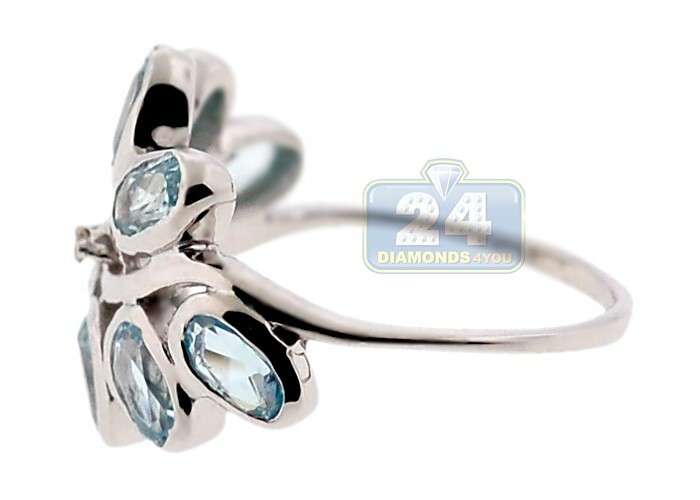 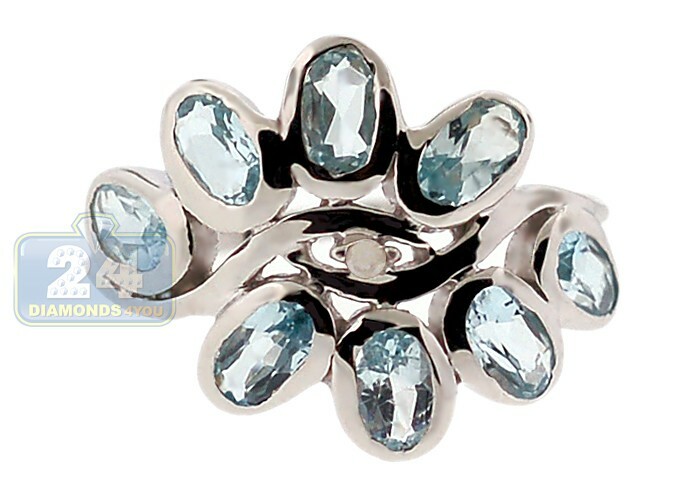 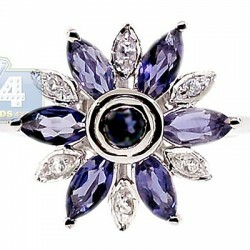 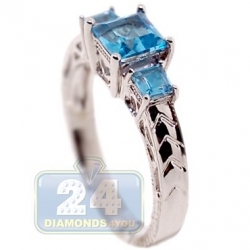 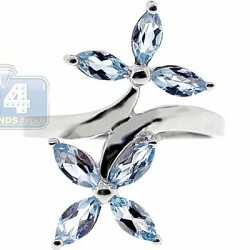 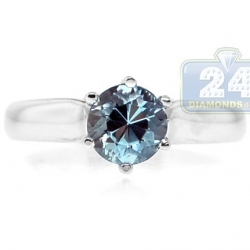 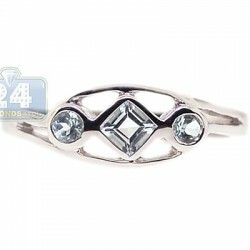 The jewel is gorgeously encrusted with eight pieces of natural blue topaz gemstones creating a solid flower motif. 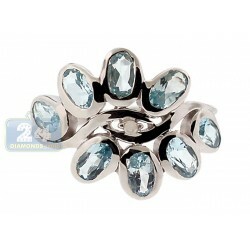 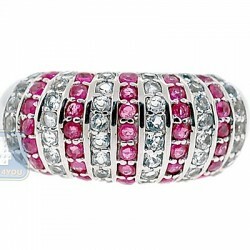 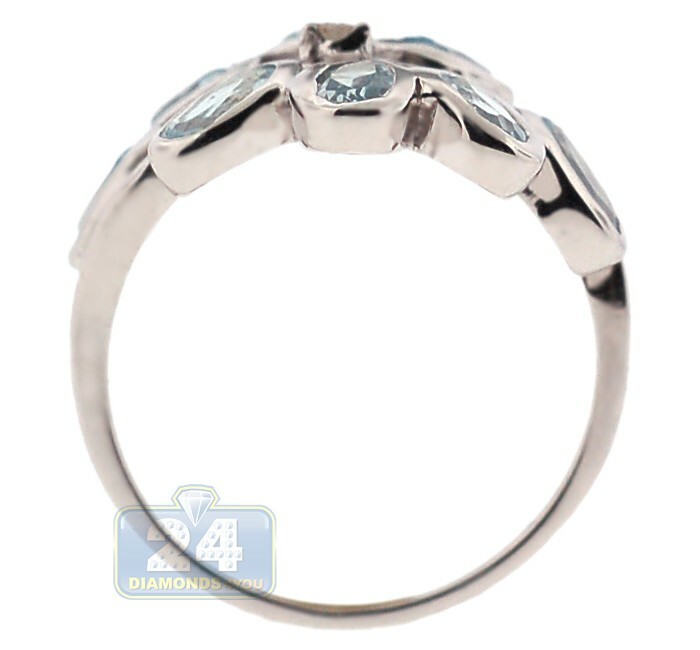 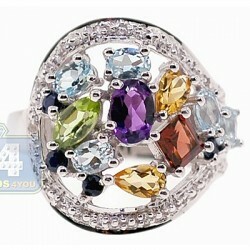 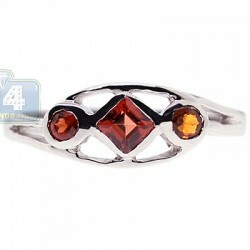 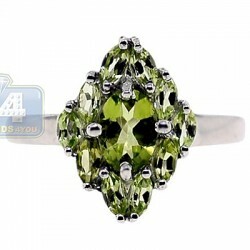 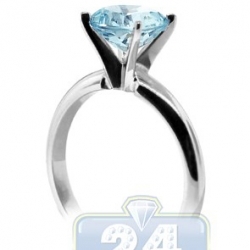 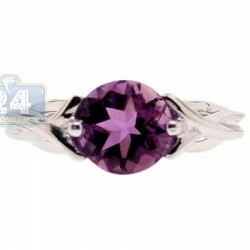 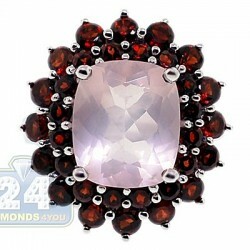 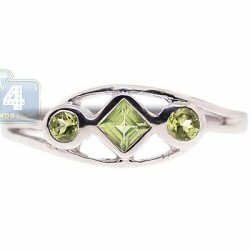 Add this stylish ring to your daily wear and get ready for compliments!